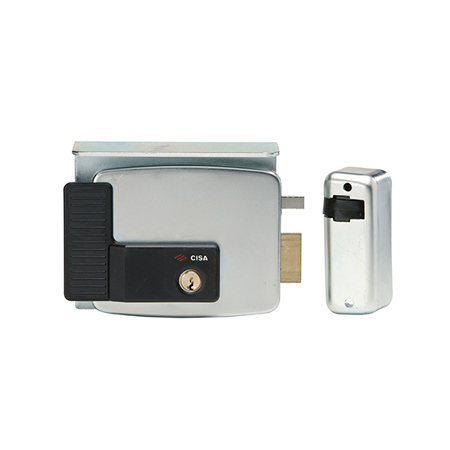 The traditional CISA Rim electric lock has been in production for over 50 years with continuous innovative improvements along the way. 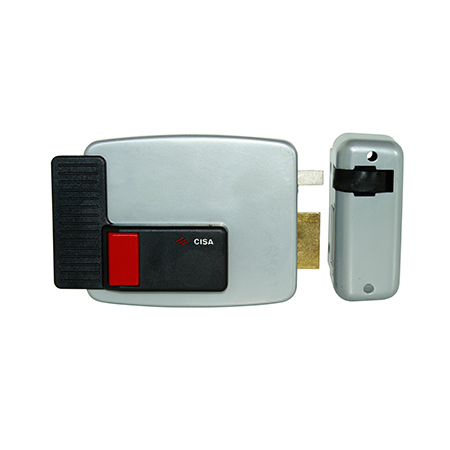 Today the traditional CISA Rim electric lock is well known as the best and most reliable rim electric lock in its class amongst installers. When the door is closed, a patented deadlocking device makes it impossible for burglars to open the door by drawing back the latch. The removable copper-plated pin allows for adjustment of the pressure applied by the reloading-pin spring to suit door weight. This should only be performed on doors that are not vulnerable to attack. The coil assembly ensures efficient lock functioning even when voltage is low, hence eliminating the problems deriving from drops in voltage on the electrical system. Tested at 4V AC. A new type of terminal board allows for quick coupling of the electrical cables, doing away with traditional screw terminals. The insertion of a protective barrier between the release armature and cable-hole area defies any attempt to illicitly open the lock. Certain constructional features ensure greater resistance of the latch shank to impact and side pressure due to rebound when the door or gate is closed. The new mounting cover plate and protective cylinder rose greatly improve the resistance to attack. 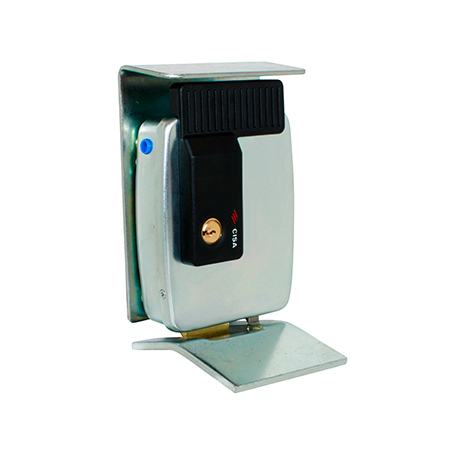 The mounting plate made from 4mm thick steel protects the top and underside of the lock from attack. Whereas the protective cylinder rose protects the cylinder from being snapped or hit with blunt force.